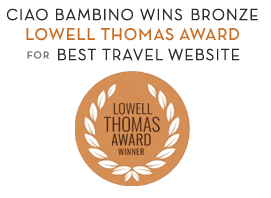 Ciao Bambino receives more requests for family trip planning services in California than any other U.S. state, especially as summer nears and families consider a California road trip with kids. 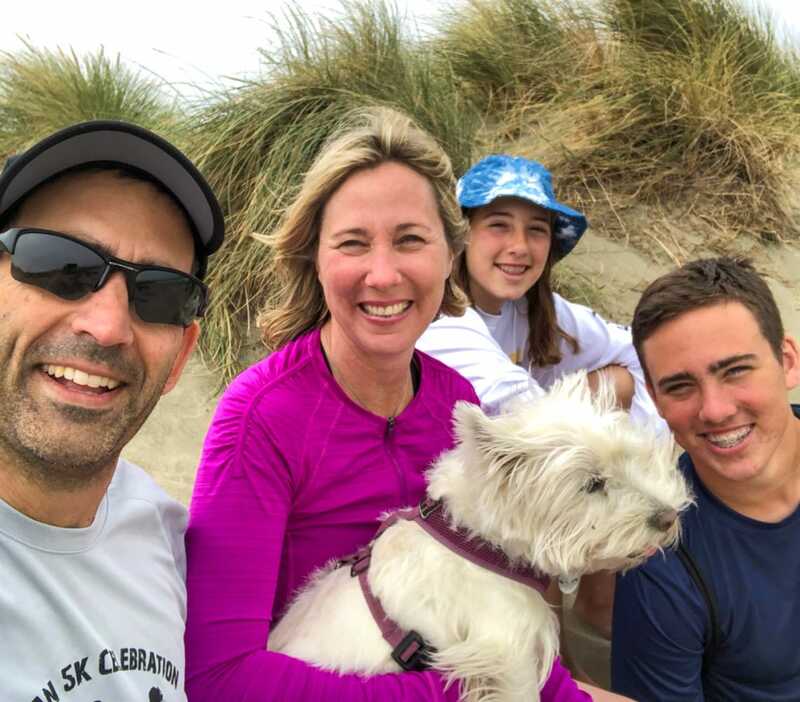 San Francisco, Los Angeles and San Diego are familiar names on the itinerary, but mention Cambria or Avila Beach and there’s a pause in the conversation. These cities are part of the Central Coast region of California, a 350-mile area that begins south of San Francisco and ends just south of Santa Barbara. It includes well known areas like the Monterey Peninsula, Big Sur and Santa Barbara and it’s also home to a string of small beach towns full of wildlife and active adventure that few visitors experience. A two-hour drive from San Francisco, both Monterey and Carmel-by-the-Sea make good bases for exploring the Monterey Peninsula. Monterey is more touristy, with more family hotels and evening activity for older kids. Carmel-by-the-Sea, a quaint one-square mile village with no street addresses on the Hansel and Gretel-style cottages that line the streets, has fantastic dining options and the gorgeous Carmel Beach within walking distance of the downtown but also fewer family lodging options. Monterey Bay Aquarium. The jellies at the world-famous aquarium are always a winner with kids. Point Lobos State Natural Reserve. The line of cars waiting to get in is the first sign that Point Lobos is special. It’s perfect for short hikes and a picnic. The Carmelo Meadow Trail is a stroller-friendly walk from the parking lot that ends with a coastal view of Whaler’s Cove or try Sea Lion Point Trail which has views of sea lions lounging on the rocks and possible otters sightings along the way. Elkhorn Slough. Whether kayaking with Monterey Bay Kayaks or on a pontoon with Elkhorn Slough Safari, the tidal estuary 20 minutes north of Monterey is filled with birds and marine life, offering a chance to get up close with otters. Carmel Mission. The Carmel Mission is compact and conveniently located just outside the main Carmel-by-the-Sea area with a hiking trail across the street. Earthbound Farms. The organic produce farm has a one-of-a-kind farmstand with a cut-your-own herb garden, ABC vegetable garden, aromatherapy walking labyrinth and organic baked goods and yogurt inside. It’s an especially good stop with small children. Big Sur is a gorgeous slice of California coastline where the Santa Lucia Mountains meet the Pacific Ocean creating sheer cliffs with dramatic coastline views. The area has few year round residents and no cell reception; nature is the attraction. Pfeiffer Beach. One of the few places that kids can run freely in Big Sur is Pfeiffer Beach. A small beach with arched rock formations, sand dunes and no shade. It’s located on Sycamore Canyon Road just past Pfeiffer Burns State Park. Note, it’s easy to miss. Nepenthe Restaurant. For over 50 years, Nepenthe has welcomed diners who stop for the stunning cliffside views. Indoor and outdoor seating is available with reservations for parties of five or more. For more casual dining with the same views, there’s counter service at Cafe Kevah downstairs. McWay Falls at Julia Pfeiffer Burns State Park. Not to be confused with Pfeiffer Big Sur State Park located 10 miles north, McWay Falls is an 80-foot waterfall that cascades onto the beach. The quarter mile path leads to another coastal viewing area past the Falls and though the path is fenced parents with small children should note that the wooden fences have large gaps. San Simeon is famous for two things: the Hearst Castle and the 17,000 elephant seals that call the beaches seven miles north of here home. Piedras Blancas Elephant Seal Rookery. A fenced cliff top walking path provides close views of the elephant seals that come and go year round. December – February/March are the busiest months when the seals are giving birth and mating with Nature on full display. The rookery is open every day with docents often on hand to answer questions. Hearst Castle. America’s version of a castle is a marvel of over-the-top architecture designed by Julia Morgan in collaboration with William Randolph Hearst, European art treasures and celebrity tales. It’s an irresistible stop though with toddlers, the no-touch policy is challenging. Coastal Discovery Center at San Simeon Bay. The small science center is staffed with helpful docents and has educational displays and interactive exhibits about the bay and surrounding coast. It’s located across the street from Hearst Castle. Open Friday – Sunday, free admission. Avila Beach looks like a postcard for the perfect family beach vacation. Colorful buildings sit on a pedestrian street lined with palm trees evoking Key West more than California. Hotels, restaurants, playgrounds and the beach are within a 5-minute walk. This is a dream for parents with napping children that need to return to the hotel room midday. Harford Pier. The pier is a 5-minute drive from the downtown and a favorite hang out for sea lions and otters. Beginner anglers can rent poles and fish off the pier for bait fish. When it’s time for a bite to eat, The Olde Port Inn has tables with viewing windows in the middle that look down to the water below. The beach. Swings and playground equipment, daily sand sculptures, good bathroom facilities and dining options within three blocks of each other make this easy with toddlers to teens. Avila Valley Barn. For many families, Avila Valley Barn is a must-see stop on any Central Coast trip. Seasonal pic-your-own vegetables and fruits, farm animals, hay rides, a produce stand and a restaurant entertain kids for hours. Oceano Dunes. Ten minutes away, the Oceano Dunes are the only dunes in California where vehicles are allowed to drive on the sand. For thrill seekers, an hour Hummer ride with Pacific Adventures traverses the highest dunes though the ride is always tailored to the passenger’s adventure level. The most popular way to see the dunes is by ATV. We were first-timers and rode with Angello’s ATVs, practicing on the beach first before heading out to the smaller dunes which felt comfortable and safe given our skill level. If you have to choose between road trip destinations, Santa Barbara works well with tweens and teens that want more to do at night and shopping options which abound on State Street. Stearns Wharf. The Ty Warner Sea Center is the main attraction for kids but everyone enjoys a stroll on the pier. Biking the beach path. Rent a three-wheeled chopper bike at Wheel Fun Rentals across from Stearns Wharf and pedal the beach bike path. Santa Barbara Mission. Considered one of the architectural gems of the mission network, the Santa Barbara mission has ten acres of gardens to explore plus audio guides to keep kids attention. Santa Barbara Maritime Museum. The unassuming maritime museum has a hands-on fishing exhibit where kids can “reel in” the big one which they try to do over and over again. The list of things to do in California is long and the key to planning a successful California road trip with kids is to not try to do it all. A stop on the Central Coast is one way to slow down and enjoy the ride. Need help planning a California Coast road trip with kids? We know the best spots and itineraries for all ages. Click here to request assistance. Need help planning a California Coast road trip with kids? We know the best spots and itineraries for all ages. Click here to request assistance.